Following the introduction of Lime Scooters in Brisbane, Australia’s electric scooter laws have become a hot topic in recent months. Electric scooter laws in Australia vary from state to state. In some states and territories, users can ride an electric scooter at up to 25km/h, while in other states, electric scooters can only be used on private property. As such, it can sometimes be difficult to know whether you’re following the rules or not. This confusion is likely to continue as Lime plans to expand its trials into other Australian cities. That’s why we have compiled this helpful list of Australia’s electric scooter laws by state, to help you keep track of the do’s and don’ts when riding an e-scooter in Australia. Brisbane was the first Australian city to trial electric Lime scooters. During this ongoing trial, e-scooters can travel at a maximum speed of 25km/h, and can only be used on footpaths – not on roads or in cycle lanes. Additionally, riders must wear an approved helmet . Although the Brisbane City Council recently agreed to extend Lime’s trial permit to the middle of 2019 , this has now come under question following several e-scooter related accidents and injuries. It may be possible that Lime’s permit will be revoked in Brisbane, as several Lime scooters have experienced technical glitches which caused riders to crash . This could also impact Lime’s proposed trials in other Australian capital cities. In other parts of Queensland, where Lime scooters are not currently legal, electric scooter laws vary. For example, 22 Lime Scooters were recently confiscated on the Gold Coast for violating local laws . According to the Queensland Government website, an electric scooter must have “a small electric motor (200 watts or under) that has a maximum speed of 10km.” Further, electric scooter riders must wear a helmet . These rules were adjusted in Brisbane for the Lime scooter trial, but still apply throughout the rest of Queensland. If Lime’s permit is revoked in Brisbane, it is likely that Brisbane will revert to these e-scooter laws. New South Wales road rules currently stipulate that “powered foot scooters…cannot be registered and can only be used on private land .” As such, it is illegal to ride an electric scooter anywhere in New South Wales, other than on private property. However, users should be aware that Lime recently trialled 300 electric bikes in Sydney, which could travel at up to 24km/h . Thus, it is possible that an e-scooter trial could follow. If this occurs, e-scooter laws in New South Wales might be revised like they have been in Brisbane. Victorian law stipulates that a motorised scooter cannot travel faster than 10km/h. Additionally, a motorised scooter must have a maximum power output of 200 watts or less. Electric scooters that do not meet these stipulations can be used on private property, but not in public . If an electric scooter fails to meet these requirements, it is classified as a motor vehicle. If classified as a motor vehicle, the electric scooter must be registered, and the rider must have a valid motorcycle license . Lime recently held electric scooter trials in Melbourne at Monash University, so it is possible that further trials will be conducted in Victoria in the future . If so, it is possible that e-scooter laws in Victoria could be revised like they have been in Brisbane. Prior to the Lime scooter trial in Brisbane, electric scooters could only travel at 10km/h, however this was changed to 25km/h during the trial. Despite this, Lime will trial 500 electric scooters in Adelaide’s CBD during February and March 2019. To ride these scooters, users must wear a helmet and cannot exceed 15km/h. Users must also be over the age of 18. Additionally, the scooters can only be used on footpaths or shared pathways, and must not be used on multi-lane roads, or any road with a speed limit of more than 50km/h . During the trial, the e-scooters will be fitted with a GPS device which will automatically disable the scooter if it is taken outside of Adelaide’s CBD . Currently, Western Australian laws stipulate that electric scooters must travel at 10km/h or less, and “must not be used on footpaths and paths designed for shared use by pedestrians and bicycles.” Any unlicensed electric scooters may only be used on private property . Lime is currently planning to trial their e-scooters in Perth. For this proposed trial, Lime has applied for an exemption to raise the speed limit for electric scooters from 10km/h to 15km/h in Perth . A motorised scooter cannot travel faster than 10km/h in Tasmania, and must have a power output of no more than 200 watts . If these stipulations are not met, the electric scooter is deemed to be a motor vehicle. However, electric scooters cannot be registered as motor vehicles in Tasmania as they fail to meet the minimum safety requirements. As such, any e-scooter that has a power output of more than 200 watts can only be used on private property in Tasmania . In the Northern Territory, a motorised scooter is defined as any “kick-type scooter that is equipped with an engine or motor.” All electric scooters are considered to be motor vehicles under Northern Territory law, and as such must be registered to be used on roads or in other public places . The ACT’s electric scooter laws state that all electric scooters “do not meet minimum Australian design standards for safety.” Therefore, electric scooters cannot be registered or used in any public place in the ACT, including roads, footpaths, car parks, and public parks. Sanctions can be issued for riding unregistered electric scooters in the ACT, while police can also seize unregistered electric scooters . 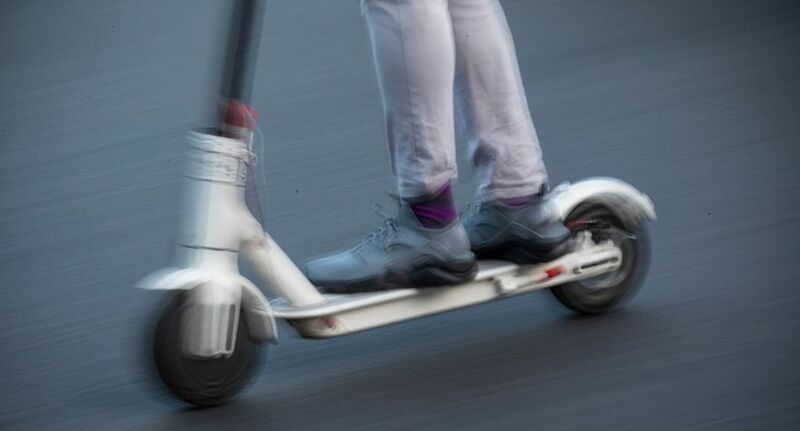 While there are currently no formal plans for a Lime scooter trial in Canberra, the ACT government has expressed interest “tweaking” their current e-scooter laws to make Lime scooters available in Canberra. Consequently, it is possible that such a Lime scooter trial will occur in Canberra in the future .